A vehicle of this type is in the care of the Berlin Historic Transport Preservation Society (DVN) Trolleybus group. The trolleybus is parked at the BBG Ltd. depot Eberswalde/Poratzstraße. The reconstruction of the Czech type ŠKODA 9 Tr trolleybus was completed on 18 December 1999. 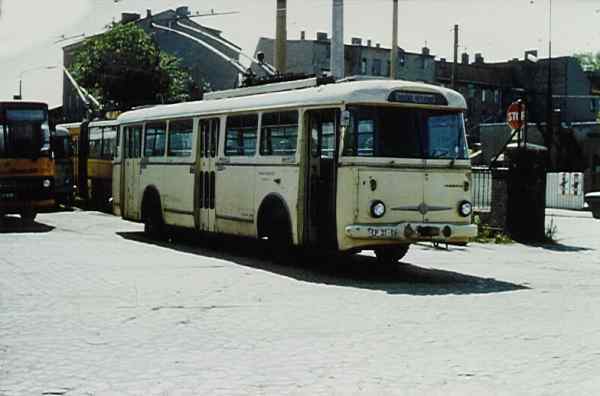 The photo show a Czech type ŠKODA 9 Tr trolleybus at the old depot in Eberswalde/Bergerstraße.